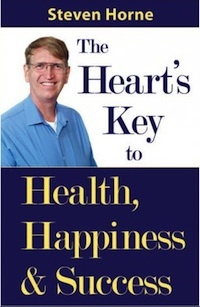 The techniques author Steven Horne teaches in this book have created breakthroughs in healing both physical and mental illness in hundreds of people. They have helped people improve their relationships and find greater success in their careers. Most importantly, these techniques have increased the happiness people experience in their lives. Clients have commented that they got further in one hour with Steven using these techniques than they have in a whole year of counseling. Here are just a few of the profound insights you’ll discover inside. You cannot heal your feelings by changing your life circumstances. The truth is that when you heal your feelings, your life will start to change. There are no negative emotions, rather, there are only positive and negative ways of dealing with emotions. Unfortunately, because our culture understands so little about emotions, most people only know negative ways of dealing with them. When we harden our hearts, we make choices based primarily on what’s been programmed in our head. What we don’t understand is that our unresolved emotional conflicts are influencing our thinking in ways we don’t see or understand. Our heart longs to reach out and connect. The so-called negative emotions are messages from our heart telling us we are disconnected. Because these emotions are painful, we often try to resist or deny them, which only intensifies our feelings of separation, loneliness and isolation and perpetuates our emotional pain. We live in a world dominated by logic, where science has become the mainstream religion. This is supposed to make us rational, but much of what we see in modern society does not make “sense.” The explanation for this is simple—sense and logic are not the same thing. Sense is sensual, which means it is felt and experienced through the heart and the body.